From 1998 through 2002, Unrealty used video game technology to let users explore real-world locations in full 3D on their desktop computers. Now, you can revisit nearly twenty-year-old technology and low-poly 3D architectural models in your modern web browser. There are links to more information in the FAQ. 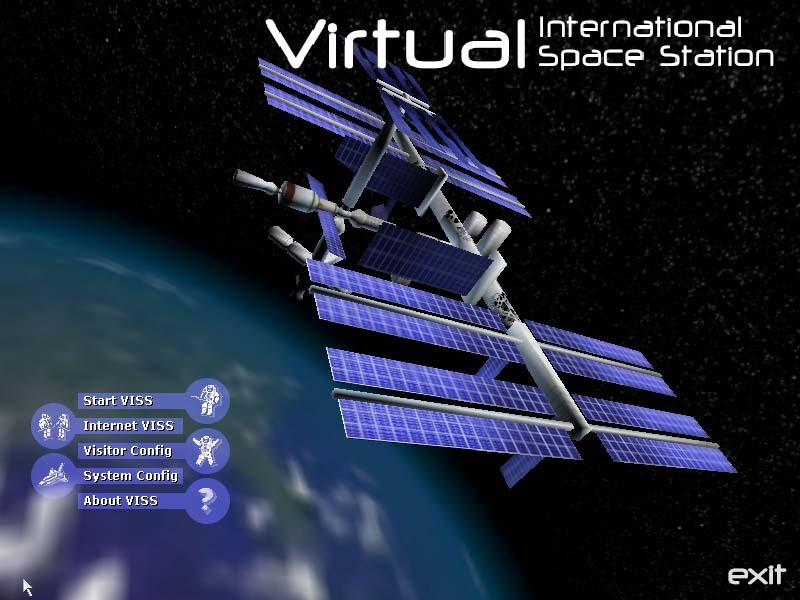 The Virtual International Space Station (VISS) was developed to support commercial (private) development of the ISS, by providing a way for researchers and scientists to explore the space station and understand the laboratory equipment available in it. In the VISS, you can walk about the interior and fly around the exterior as if you were on a space walk. Selected components of the station have markers, or question marks ("? "), you can click for additional information (accurate circa 2001/2002). This two-minute NASA Connect video explains more. Unfortunately, visiting the Virtual International Space Station requires a browser feature called WebGL, which your browser doesn't support. Try downloading and installing current versions of Mozilla Firefox, Google Chrome, or using Microsoft Edge on Windows. Unfortunately, visiting the Virtual International Space Station requires a browser feature called WebGL, which your browser supports, but can't use on your device. This may be because you're on a mobile device, or your computer's video card is too old, or your video card's drivers are out of date. Try visiting get.webgl.org to learn more. Questions or problems? See the FAQ. There's also more information, archive links, and artifacts about the VISS from that time period. Originally built for VRML, the Thayer Theatre was used for collaboration on staging, set design, and "lots of other theatre-major type stuff." Collaborators came from beyond UIowa. Virtual production meetings were held in the theatre thanks to Unrealty's included multi-user server support, part of its video game heritage. This version of the theatre includes a fully-voiced, narrated tour using the "Vara" virtual tour guide. Unfortunately, visiting the Thayer Theatre requires a browser feature called WebGL, which your browser doesn't support. Try downloading and installing current versions of Mozilla Firefox, Google Chrome, or using Microsoft Edge on Windows. Unfortunately, visiting the Thayer Theatre requires a browser feature called WebGL, which your browser supports, but can't use on your device. This may be because you're on a mobile device, or your computer's video card is too old, or your video card's drivers are out of date. Try visiting get.webgl.org to learn more. Moving around in a 3D space on a 2D computer screen could be difficult and disorienting for first-time users, so the Mouse Tutorial was developed to instruct the user in how to best navigate within Unrealty locales. The locale features "Vara," Unrealty's virtual tour guide, instructing the user in how Unrealty's simplified mouse controls function, through the use of voice prompts and slides. Unlike video games of the time, Unrealty was set up by default to use only the mouse for navigation, simplifying movement. The locale itself is a Hollywood-style backlot, where the "town" you're navigating in is actually a set of facades within a large, enclosed sound stage. "Vara" was available for use within all Unrealty locales, and her lip-synching functionality was included. Unfortunately, visiting the Mouse Tutorial requires a browser feature called WebGL, which your browser doesn't support. Try downloading and installing current versions of Mozilla Firefox, Google Chrome, or using Microsoft Edge on Windows. Unfortunately, visiting the Mouse Tutorial requires a browser feature called WebGL, which your browser supports, but can't use on your device. This may be because you're on a mobile device, or your computer's video card is too old, or your video card's drivers are out of date. Try visiting get.webgl.org to learn more. 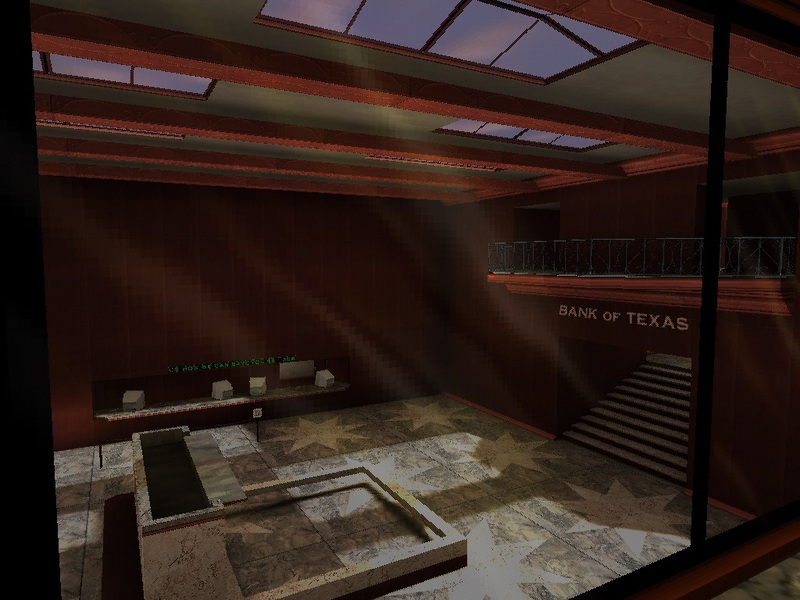 The Texas Bank was developed as a VR demonstration for local architects, commercial builders and developers. Pre-rendered 3D animations were becoming more commonplace, and some were looking for competitive options. The bank was an example of future possibilities. "Stroll through the bank and see first hand the rich detail found in the marble floors, scrolled railings and dark wood paneling. Look through the offices, schedule a meeting in the conference room or simply have a gander at the luxurious restrooms. Thanks to Unrealty, it's now a REALITY." Unfortunately, visiting the Texas Bank requires a browser feature called WebGL, which your browser doesn't support. Try downloading and installing current versions of Mozilla Firefox, Google Chrome, or using Microsoft Edge on Windows. Unfortunately, visiting the Texas Bank requires a browser feature called WebGL, which your browser supports, but can't use on your device. This may be because you're on a mobile device, or your computer's video card is too old, or your video card's drivers are out of date. Try visiting get.webgl.org to learn more. The Art Gallery was designed to showcase an individual artist's works. The original textures, figure eight-shaped room, and sweeping staircases were all difficult constructions at the time. The original gallery supported double-clicking on each artwork to display information about it, similar to the VISS. 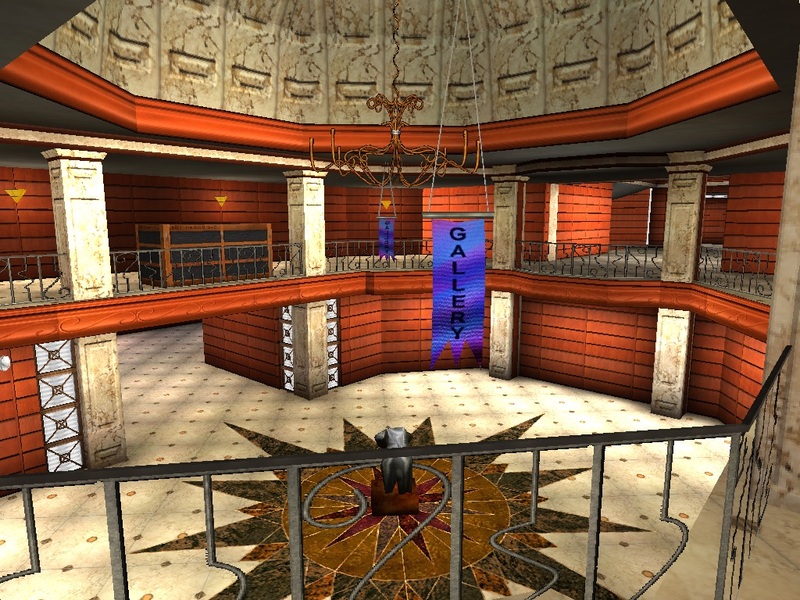 This version of the gallery does not contain the original entrance, railings, artwork, or interactivity. Unfortunately, visiting the Art Gallery requires a browser feature called WebGL, which your browser doesn't support. Try downloading and installing current versions of Mozilla Firefox, Google Chrome, or using Microsoft Edge on Windows. Unfortunately, visiting the Art Gallery requires a browser feature called WebGL, which your browser supports, but can't use on your device. This may be because you're on a mobile device, or your computer's video card is too old, or your video card's drivers are out of date. Try visiting get.webgl.org to learn more. Billed as the first, gaming-based, multi-user, real-time, virtual experience, Virtual Reality Notre Dame was an independent project by Digitalo Studios to recreate the interior of Notre-Dame de Paris. The VRND Demo is an exciting new application that takes you into a REAL virtual reality model of the famous Notre-Dame of Paris Cathedral. 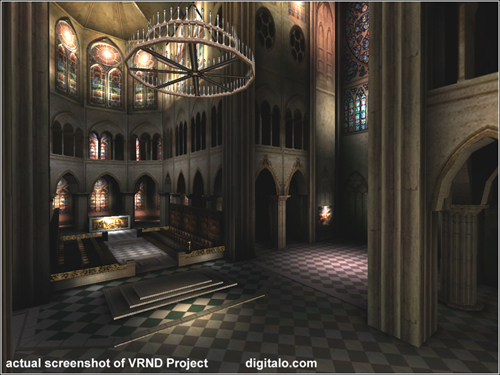 Unlike circular panoramas or slow and clunky VRML worlds, VRND: Notre-Dame is a REAL VR application with multi-user chatting and virtual tour guides. You can download the entire self-installing viewer and cathedral from this Website. It will enable you to experience the Notre-Dame Cathedral in all of its glory- virtually! and you don't need an expensive graphics workstation! The virtual tour guide technology was based on Unrealty's, but the VRND application and locale was all their own. This locale is a conversion of the original VRND interior map for use with Unrealty. There is no tour guide, and there are some graphical artifacts. Still, it represents one of the largest open interior virtual spaces built with the technology at the time. Unfortunately, visiting Virtual Reality Notre Dame requires a browser feature called WebGL, which your browser doesn't support. Try downloading and installing current versions of Mozilla Firefox, Google Chrome, or using Microsoft Edge on Windows. Unfortunately, visiting Virtual Reality Notre Dame requires a browser feature called WebGL, which your browser supports, but can't use on your device. This may be because you're on a mobile device, or your computer's video card is too old, or your video card's drivers are out of date. Try visiting get.webgl.org to learn more. Built to accompany the best-selling book series How Computers Work, this locale took you inside of a desktop computer to explain how various components worked. Novel to this locale was the replacement of the stock "Vara" tour guide with a new model based on the book's author, Ron White. Mr. White also provided the narration. This locale was exclusively available on the CD-ROM packaged with the 6th edition of the book. It has been made available online with permission of Pearson. Unfortunately, visiting How Computers Work requires a browser feature called WebGL, which your browser doesn't support. Try downloading and installing current versions of Mozilla Firefox, Google Chrome, or using Microsoft Edge on Windows. Unfortunately, visiting How Computers Work requires a browser feature called WebGL, which your browser supports, but can't use on your device. This may be because you're on a mobile device, or your computer's video card is too old, or your video card's drivers are out of date. Try visiting get.webgl.org to learn more. Click on the 3D viewport in the center of the screen, and allow the site to "lock" your mouse pointer. Move your mouse to look around, click and hold your primary mouse button to move forward, and your secondary mouse button to move backward. Press the Esc key on your keyboard to "unlock" your mouse pointer. 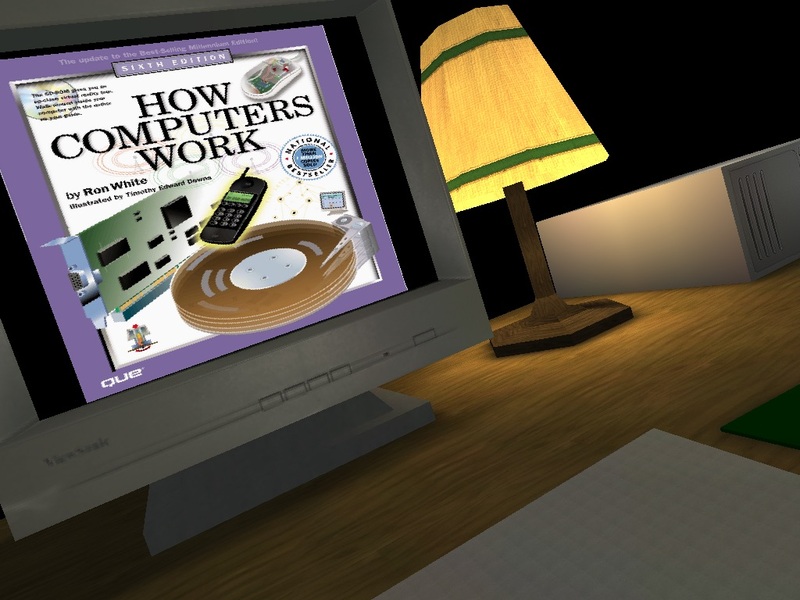 It's a twenty-year-old 3D application made to run in a web page. Refresh the page and try again. This was a weekend project that got out of hand. No technical support is available, sorry not sorry. This was state-of-the-art in 1999, and making it run in a web browser is state-of-the-art in 2017. How does it run in a web browser? Can I use this to make 3D content today? The modern equivalent of Unrealty is Unreal Studio. Can I run the original native versions? Probably not, hence the web version. The Windows version won't run on modern versions of Windows or its graphics drivers. The Macintosh version was only for PowerPC, under OS 9. The Linux version never completed testing. Who was responsible for Unrealty at the time? The original credits for Unrealty, as packaged with the Unrealty Editor manual. Later, the Macintosh (OS 9) version was ported by Ryan C. Gordon, and the Linux version was ported by Stephen Crowley. Individual locales had different or additional designers and developers working on them. Unrealty, Perilith Industrielle, and IT Future have not been going concerns for fifteen years. This site is maintained for archival and novelty purposes only. You can tweet someone at @unrealtynetwork.